– empower youth to become future leaders in environmental education and conservation. The Urban Forest Outreach Team Leader will lead a team of staff to implement public outreach projects (e.g. canvassing, park roving, community events) in Surrey parks and neighbouring communities, under the direction of the SNAP Program Coordinator. This is a field-based position. The successful applicant will receive training and experience in environmental communication and interpretation; communityengagement; and small-scale event and project coordination. – Other related duties as required. – have a valid Social Insurance Number at the start of employment and be legally entitled to work in Canada and BC. – Completion of a Police Information Check will be required as a condition of employment. – Fluency in additional languages, particularly Punjabi, is an asset. – Submit a cover letter expressing why you are interested in the position and how you meet our required qualifications and competencies. – Submit a resume that clearly outlines your relevant work and volunteer experience. – Ensure the subject line of your email reads “Urban Forest Outreach Team Leader – [first and last name]”. Applications will be accepted until February 19, 2019. 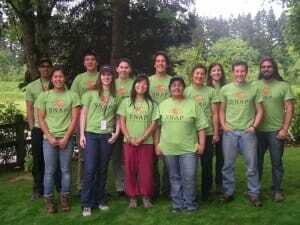 Urban Forest Outreach Team Members will implement public outreach projects (e.g. canvassing, park roving, community events) in Surrey Parks and neighbouring communities, under the direction of an Urban Forest Outreach Team Leader. This is a field-based position. Successful applicants will receive training and experience in environmental communication and interpretation; community engagement; and small-scale event and project implementation. – Ensure the subject line of your email reads “Urban Forest Outreach Team Member – [first and last name]”. 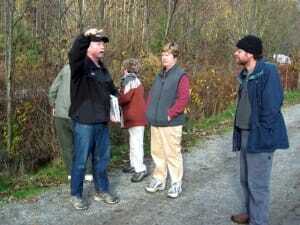 Habitat Restoration Team Leaders will each lead a team of staff to implement restoration projects (e.g. invasive plant removal, park clean-ups, small wildlife projects, trail closures, planting maintenance) in Surrey parks, under the direction of the SNAP Program Coordinator. This is a field-based position. Successful applicants will receive training and experience in environmental restoration and habitat enhancement techniques. – Ensure the subject line of your email reads “Habitat Restoration Team Leader – [first and last name]”. Habitat Restoration Team Members will implement restoration projects (e.g. 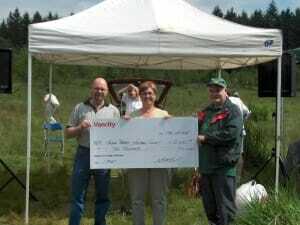 invasive plant removal,park clean-ups, small wildlife projects, trail closures, planting maintenance) in Surrey parks, under the direction of a Habitat Restoration Team Leader. This is a field-based position. Successful applicants will receive training and experience in environmental restoration and habitat enhancement techniques. – Ensure the subject line of your email reads “Habitat Restoration Team Member – [first and last name]”. The Tree Care Team Leader will lead a team of staff to implement maintenance and enhancement projects on Surrey’s network of shade trees (e.g. tree well installation and maintenance, pruning, invasive removal, dead tree- and stake removals, special projects), under the direction of the SNAP Program Coordinator. This is a field-based position. The successful applicant will receive training and experience in urban forestry enhancement and shade tree maintenance techniques. – Ensure the subject line of your email reads “Tree Care Team Leader – [first and last name]”. Tree Care Team Members will implement maintenance and enhancement projects on Surrey’s network of shade trees (e.g. tree well installation and maintenance, pruning, invasive removal, dead tree- and stake removals, special projects), under the direction of a Tree Care Team Leader. This is a field-based position. Successful applicants will receive training and experience in urban forestry enhancement and shade tree maintenance techniques. entitled to work in Canada and BC. – Ensure the subject line of your email reads “Tree Care Team Member – [first and last name]”. 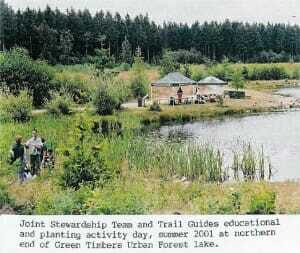 The Green Timbers Heritage Society was established in 1987 to protect the Green Timbers forest from urban development. 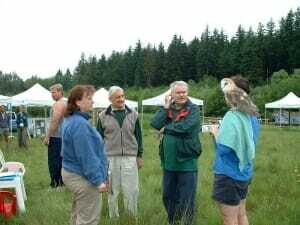 Following referendums in 1988 and 1996 spearheaded by the society, the area was preserved as the Green Timbers Urban Forest. 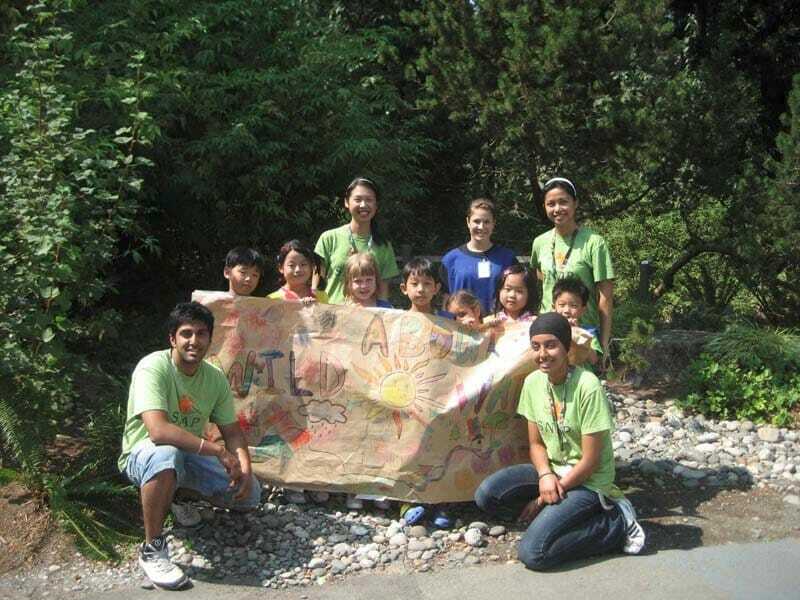 We work with the City of Surrey, community groups and our own programs to promote environmental stewardship and a sustainable relationship with nature through habitat restoration, environmental education and outreach in the community. Join us and connect with like-minded individuals in your neighborhood who care about and work towards the protection and preservation of our natural heritage. By becoming a member and making an annual contribution to the Society, you’ll be helping to preserve and sustain Green Timbers for generations.